Globe Telecom is making way for another groundbreaking retail experience as it temporarily closed down two of its biggest stores - SM North Edsa and Limketkai Mall, Cagayan de Oro. The two stores will reopen in December 2014 promising a fresh experience for its customers and unique retail concept, a first of its kind in the Philippines. Pioneering in innovative store designs, Globe made headway in retail shopping experience when it first remodeled its stores in 2010. 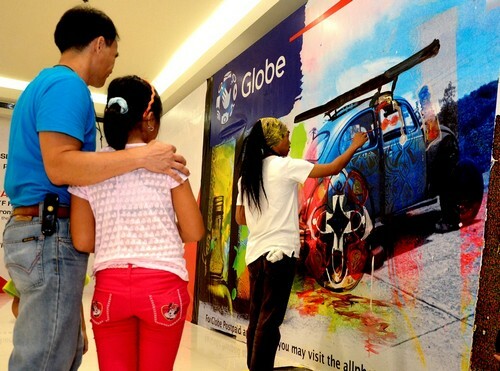 Leading the live art demo for Globe GEN 3 stores is renowned Filipino artist Ross Capili. Prior to opening, the Generation 3 stores will feature themed surprises – Arts, Community and Technology. 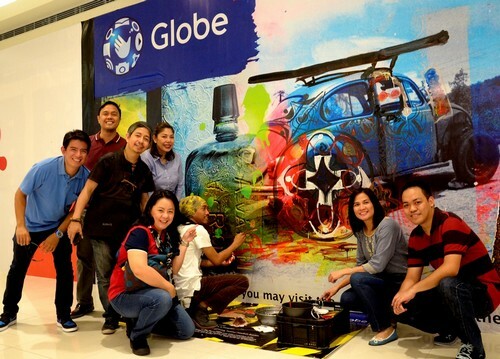 Working together with distinguished Filipino artists led by Ross Capili, Globe gave retail customers a live art experience as the artists boarded up the stores. The live art had enthusiasts and followers abuzz in Twitter using the hashtag #Gen3nextACT and photos uploaded in Facebook as the artists wowed retail onlookers at North Edsa. 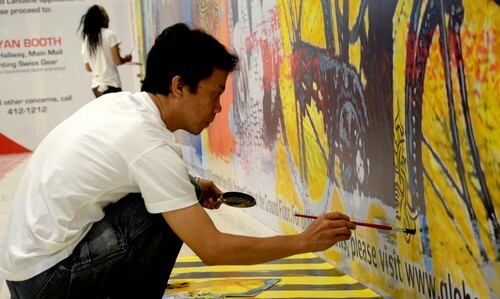 Capili working with the theme ‘past to future’ designs the mounted mural on the Globe stores. The mural is set to surprise onlookers every two weeks as participating artists keep on adding and drawing on the canvass. “Once again we are going beyond ourselves in reinventing and innovating our retail distribution space. We are confident that our customers will appreciate not only the design but also the wonderful experience that our Generation 3 stores will bring,” adds Caliro. Capili has been in the art scene for almost 40 years specializing in varying expressions, movements and media. 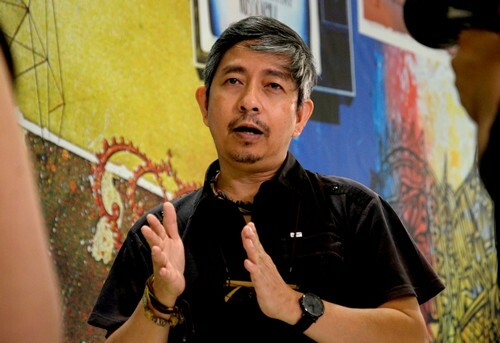 With successful exhibitions here and abroad, Capili is also the founder of the Facebook Group ArtPhilippines, which gathers over with over 8,000 members composed of Filipino artists here and around the world. 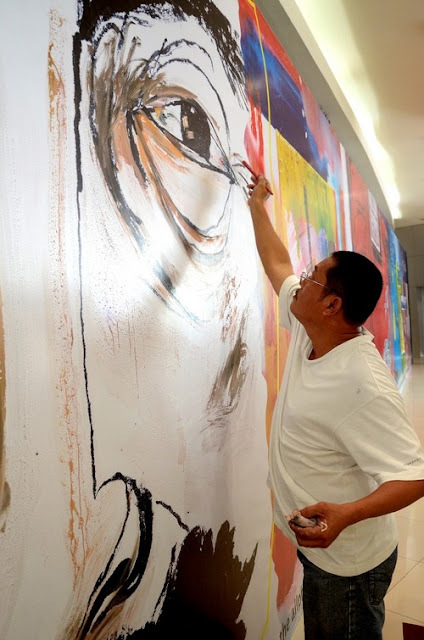 The art event at Globe SM North Edsa began September 25 where Capili was joined by the first set of artists namely Percinette Sauro, Rem San Pedro and Herald Guarin Corpuz. 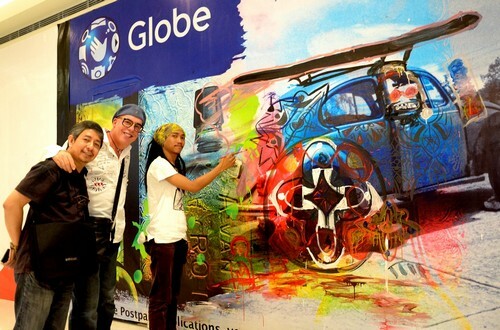 Globe Limketkai Mall’s art event will begin on October 4 (tomorrow) featuring the creations of Joey and Archie Balcos. The Globe Generation 3 stores are designed by Tim Kobe, founder and CEO of Eight, Inc. whose brainchild is the iconic Apple store in New York. On the future Globe stores, Kobe says, “Globe is transforming the customer experience in the Philippines and it will send shock waves far beyond.” Among his achievements, Kobe is responsible for the designs of the Apple Stores, the Nike Concept Stores, Coke, Knoll, Virgin Atlantic Airways, and Citibank. 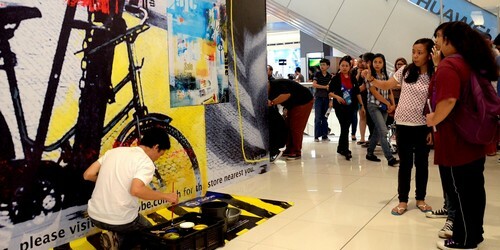 Mall goers at SM North Edsa stopped to watch how the artist add and transform the canvass into a one of a kind mural. The new stores will also house interactive lifestyle vignettes that will feature a myriad of products within interesting displays that make it more relevant to customers. The installations are made flexible and reconfigurable allowing the store to transform, keeping the environment always fresh and giving customers a reason to return. About Eight Inc: 8 design human experience. We design meaningful experiences. Experiences with emotion and purpose that change the way people think, feel and do. We are 90+ strategic designers and business creatives connected across 8 studios, 6 time zones and 3 continents. We don’t believe in narrow roles like ‘users’or ‘consumers’, humans are far more interesting and complex. We don’t think purely ‘digital’or ‘physical’, reality is more fluid and interconnected. We create holistic experiences that become more than the sum of their parts. Our holistic approach has generated extraordinary value for clients like Apple, Citibank, Virgin Atlantic and Tesla. Nice article! Thanks for the post. Globe promises this will be epic.